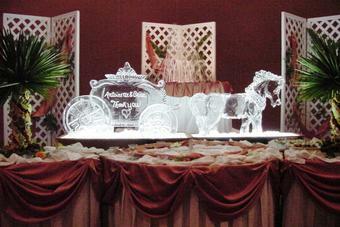 Inside are Ice sculptures for all occasions. 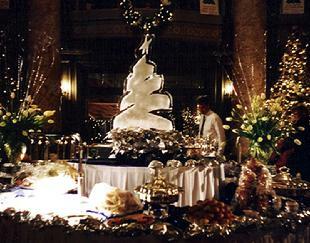 Ice sculptures compliment many special events including weddings ,anniversaries, birthdays, bar mitzvahs and graduations. We create custom sculptures for all holidays including Christmas, Mothers day, and New Years Eve. Corporate logos and market branding have become very popular in ice, as well as ice bars and seafood/sushi tables. If you dont find it here e- mail us and we can send you a picture or sketch.Thanks for looking and enjoy. The copyright laws of the U.S.A protect the text and photos on this website. Any use of our text or photos, whole or in part is strictly prohibited.